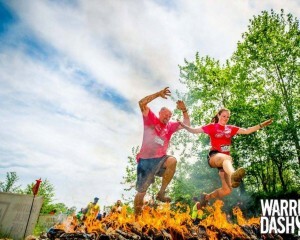 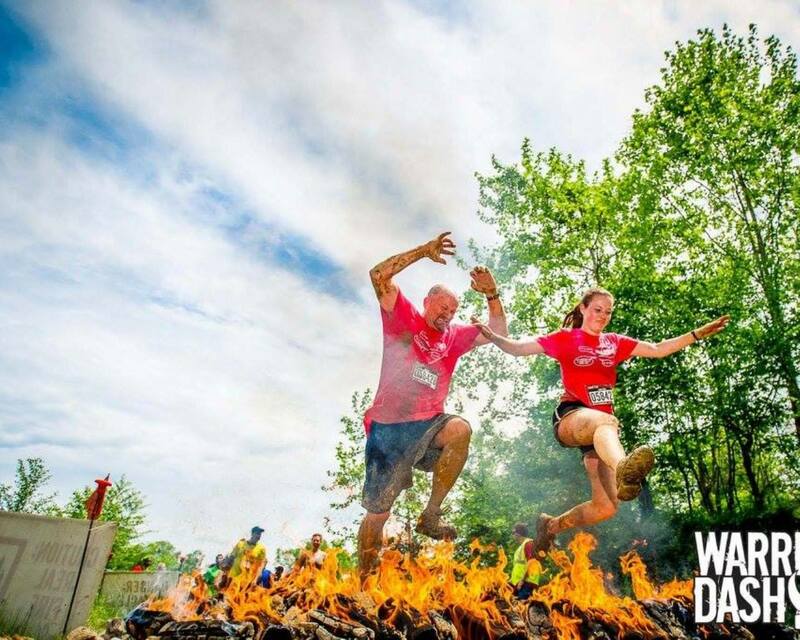 The Maryland Warrior Dash was held on Saturday, May 14 at Budds Creek Motocross Track. 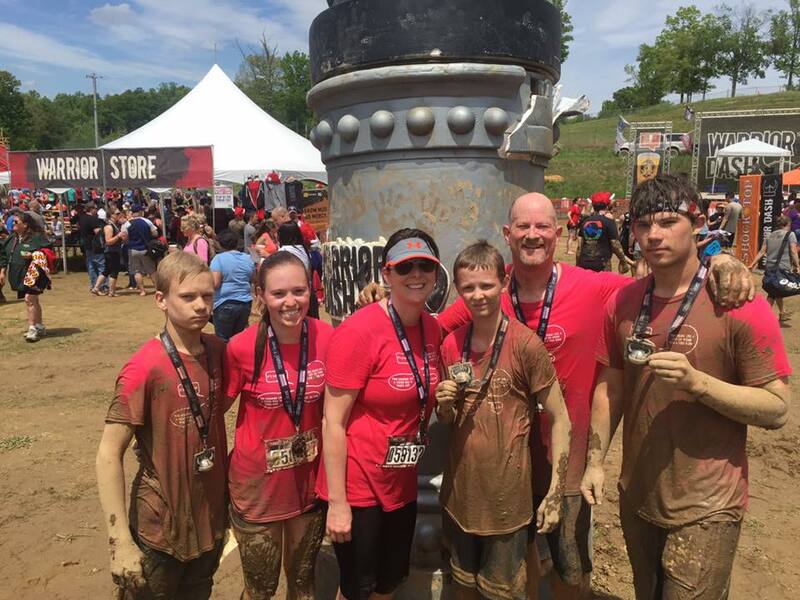 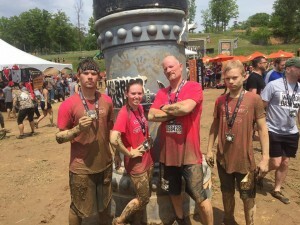 It was a sloppy, muddy, fun mess this year! I ran it with my kids (Emmy, Adam, and Mitch), a family friend and her son. 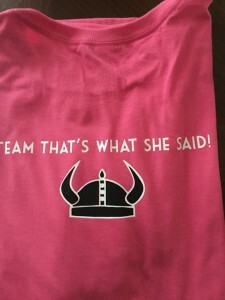 We named ourselves Team That’s What She Said! 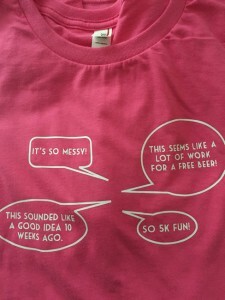 and I made the custom tees with some hot pink tees from Anvil. 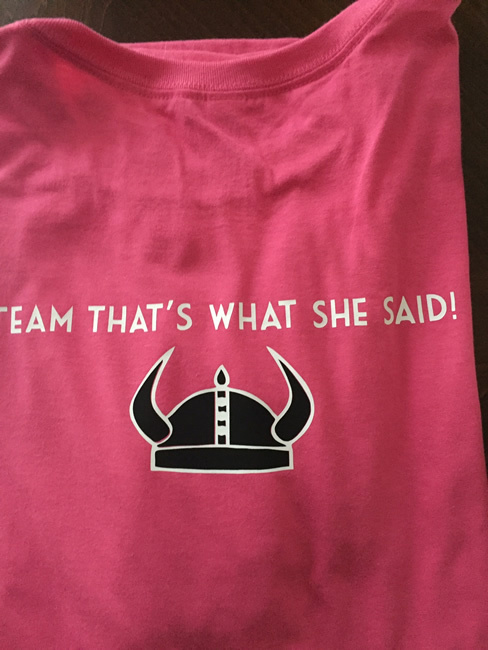 Team That’s What She Said! 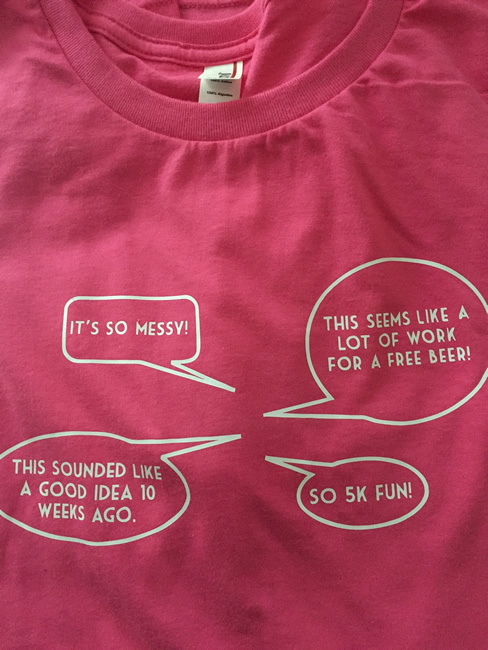 The shirts were definitely less hot pink after the race! !